An overdose is a major medical crisis, right? It’s not unlike a heart attack. A person has a heart attack at the grocery store and . . .
. . . thank goodness, the store has an automatic defibrillator. Someone has been trained to use the defibrillator and performs the rescue. Someone else calls 911 to make sure the patient gets all the care they need. The patient is taken to the emergency department and medically stabilized. Once stabilized, the patient gets transferred to care that will address the cause of the heart attack and/or care that will prevent future heart attacks. monitoring by the patient’ primary care physician. If problems recur or there are indications of a potential recurrence, the care plan will be re-evaluated and the patient will get whatever care they need. A person overdoses and . . .
. . . thank goodness, the someone has naloxone. 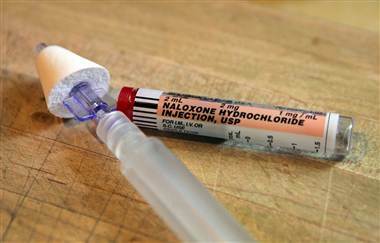 The person has been trained to use naloxone and performs the rescue. Maybe, if they are lucky, these steps happen. We’d never tolerate cardiac patients being sent home without the proper care. Why should people with an addiction be treated any differently?